Finally, the date is set, the lovebirds are ready, and the cards are in order too! 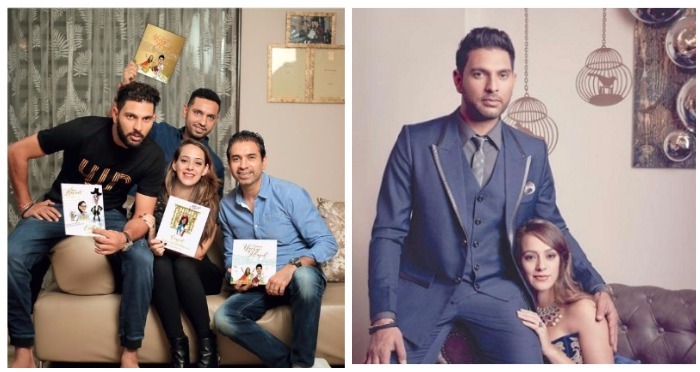 We are talking about the wedding of cricketer Yuvraj Singh to his Bollywood sweetheart, ‘Bodyguard’ fame Hazel Keech, this winter. 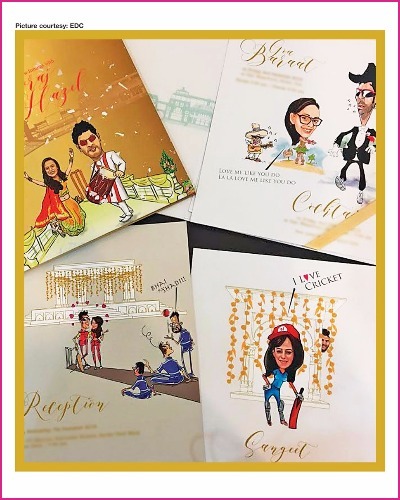 Now, the wedding cards of the two has made it to the press, and boy, looks like this is going to be an epic mashup of cricket and Bollywood. Take a look at the interesting design which these two gorgeous looking people have personally supervised, so it comes out perfect. Presenting the card, which the couple has affectionately named, ‘Yuvraj and Hazel Premier League’. Yuvraj and Hazel have been dating for the past one year, and got engaged recently in a low-key affair at Bali. They will be having a Gurudwara wedding on November 30, in Chandigarh, and another wedding, we are assuming by Christian traditions, in Goa, on December 2. The Sangeet will be held on December 5th, and Reception ceremony will be on the 7th, in Delhi. It is said that the couple will be tying the knot as per Hindu traditions too. Awe, so many traditions, union of one love. We are definitely geared up for this wedding. When probed further on his wedding attire, the ace cricketer said, “I don’t think I am that good a designer that I would be able to design my shaadi suit, but I don’t like wearing a lot of flashy clothes now. I want it to be comfortable, because obviously I want to shake a leg.” He also said that he will be helping Hazel choose her outfit. How sweet! Well, seems like the two and their big fat Indian wedding will give the year a fitting and entertaining end. Can’t wait for the celebrations to begin already! Previous : Pics Alert: Anushka Sharma Makes Virat Kohli’s Birthday Special In The Most Adorable Way! Next : Woah! Are Bipasha Basu and Karan Singh Grover Expecting Their First Child?